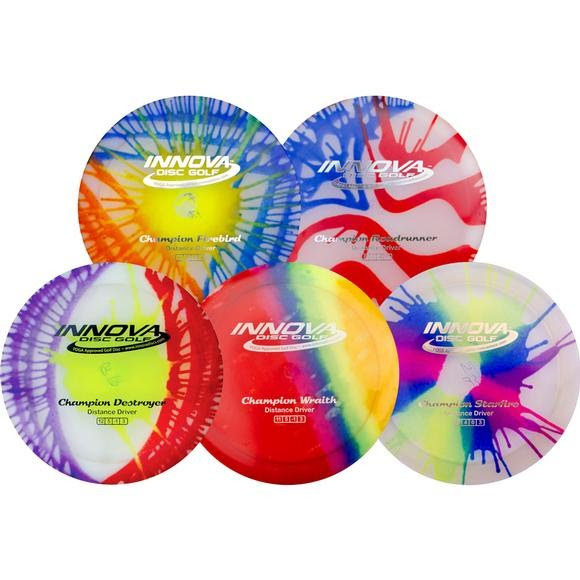 NOTE: Each disc is individually dyed with bold colors and exciting designs. No two are exactly alike. Photo shown as examples. The TeeBird is one of our most accurate and reliable fairway drivers. It has a combination of straight flight, high glide and good speed that make it accurate and long flying both upwind and downwind. Best Choice for: Utility driver, headwind driver, hyzer shots, flex shots, sidearm driver, thumbers. Fairway Drivers deliver confidence in both fairway placement and long approach situations. For many players, our Fairway Drivers provide nearly the same distance as our Distance Drivers, but with added control and accuracy. Newer players will find these discs easier to control. Many World Championships were won using Innova Fairway Drivers. These discs can inspire a new level of confidence in your game. Improve the level of your game with the superior control and reliability of our Fairway Drivers.